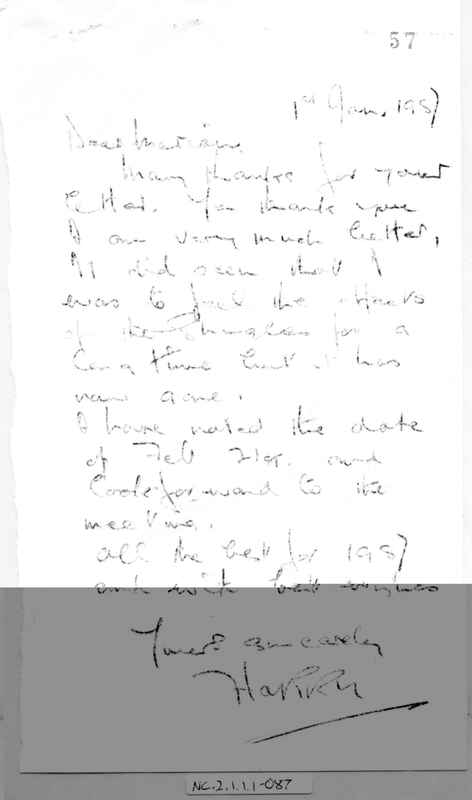 Full Description: Minting Correspondence: International Concertina Association. 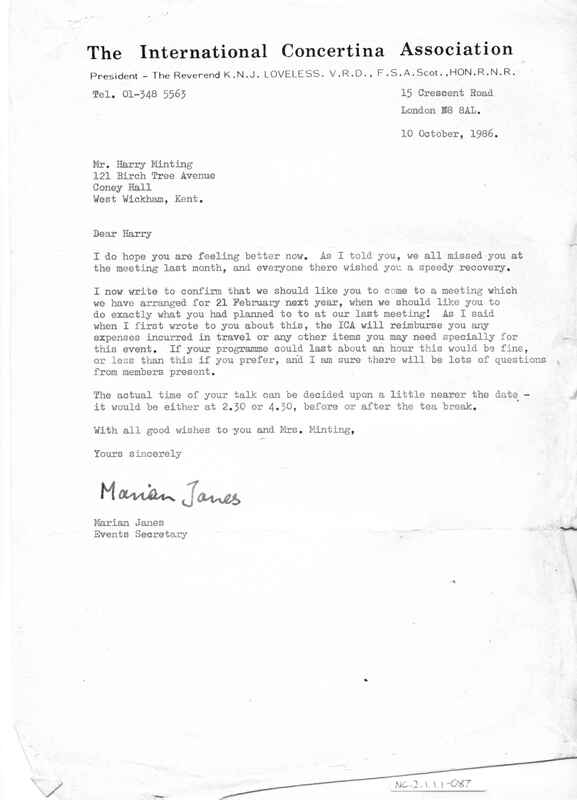 Letter from the ICA inviting Harry to give a talk on Feb 21st 1987, and Harry's reply. 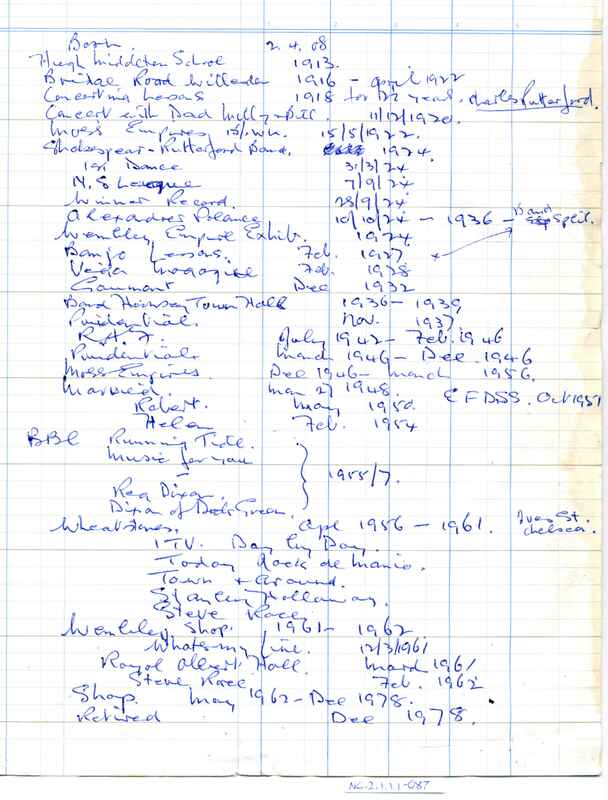 Also attached is his fascinating 'Life Chronology' in note form, prepared for this ICA talk. Neil Wayne attended the lecture, and brought a small group of early Wheatstone items to display with Harry's exhibits.